Remember when Barack Obama insisted the border was secure and that his critics would only be satisfied when they he built a moat and filled it with alligators? Yeah, that was a lie, too. An Iraqi military trainer was captured crossing the open US southern border in March. Ahmed Adnan Taha al-Khalfaji spent time in Crimea and speaks fluent Russian. 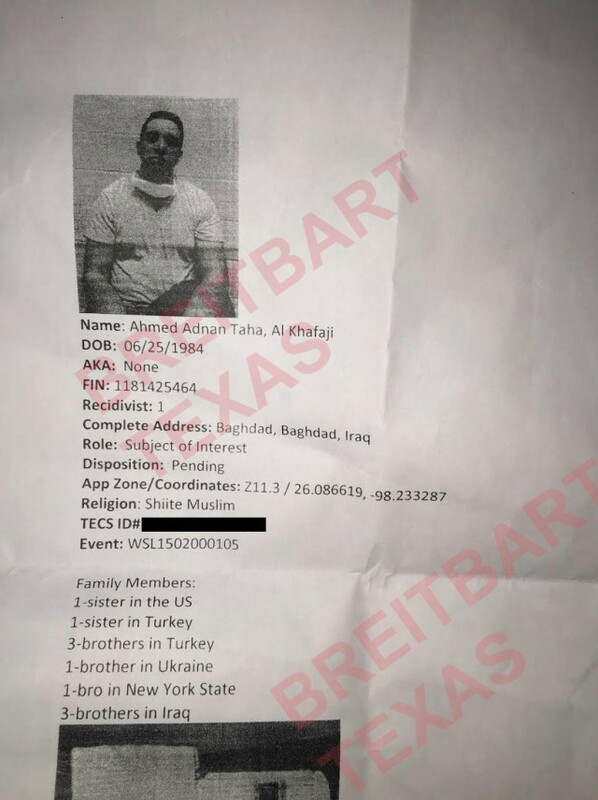 Breitbart Texas exclusively obtained leaked information on the Iraqi man who was apprehended while illegally crossing the U.S.-Mexico border into Texas on February 12, 2015. The Border Patrol agent responsible for interviewing the subject initially expressed concerns that the Iraqi was sent by Russia, largely due to the Iraqi man’s history as a military trainer, his speaking several languages, including Russian, and his having lived in Crimea, according to one of the leaked documents. Breitbart Texas was provided with two documents by a federal agent who works under the umbrella of Customs and Border Protection (CBP). The agent insisted on remaining anonymous.